1066 – Edward the Confessor died childless, sparking a succession crisis that eventually led to the Norman conquest of England. 1355 – Charles I of Bohemia was crowned with the Iron Crown of Lombardy in Milan. 1477 – Battle of Nancy: Charles the Bold was killed and Burgundy became part of France. 1500 – Duke Ludovico Sforza conquered Milan. 1527 – Felix Manz, a leader of the Anabaptist congregation in Zürich, was executed by drowning. 1554 – A great fire started in Eindhoven, Netherlands. 1675 – Battle of Colmar: the French army beat Brandenburg. 1757 – Louis XV of France survived an assassination attempt by Robert–François Damiens, the last person to be executed in France by drawing and quartering, the traditional form of capital punishment used for regicides. 1759 George Washington married Martha Dandridge Custis. 1767 Jean-Baptiste Say, French economist, originator of Say’s Law, was born (d. 1832). 1834 William John Wills, English explorer of Australia, member of theBurke and Wills expedition, was born (d. 1861). 1889 – Preston North End was declared winner of the original football league. 1896 – An Austrian newspaper reported that Wilhelm Roentgen had discovered a type of radiation later known as X-rays. 1902 – Stella Gibbons, English author, was born (d. 1989). 1903 Harold Gatty, Australian aviator, navigator with Wiley Post, was born (d. 1957). 1910 Jack Lovelock, New Zealand athlete, was born (d. 1949). 1914 – The Ford Motor Company announced an eight-hour workday and a minimum wage of $5 for a day’s labour. 1917 Jane Wyman, American actress, was born (d. 2007). 1918 – The Free Committee for a German Workers Peace, which became the Nazi party, was founded. 1925 – Nellie Tayloe Ross of Wyoming became the first female governor in the United States. 1932 Umberto Eco, Italian writer, was born. 1933 – Construction of the Golden Gate Bridge began in San Francisco Bay. 1938 King Juan Carlos I of Spain, was born. 1940 – FM radio was demonstrated to the FCC for the first time. 1940 Athol Guy, Australian singer, member of The Seekers, was born. 1943 Justice Mary Gaudron, first female judge of the High Court of Australia, was born. 1944 – The Daily Mail became the first transoceanic newspaper. 1946 Diane Keaton, American actress, was born. 1950 Chris Stein, American guitarist (Blondie), was born. 1960 Phil Thornalley, English bass guitarist (The Cure), was born. 1968 – Alexander Dubček came to power: “Prague Spring” began in Czechoslovakia. 1969 Marilyn Manson, American singer, was born. 1973 Phil Joel, New Zealand bassist (Newsboys), was born. 1974 – Warmest reliably measured temperature in Antarctica of +59°F (+15°C) recorded at Vanda Station. 1976 – Cambodia was renamed Democratic Kampuchea by the Khmer Rouge. 1977 The occupation of Bastion Point started. 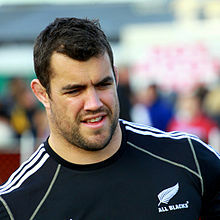 1981 – Corey Flynn, New Zealand rugby player, was born. 1993 – The oil tanker MV Braer ran aground on the coast of the Shetland Islands, spilling 84,700 tons of crude oil. 1993 – Washington state executed Westley Allan Dodd by hanging (the last legal hanging in America). 2005 – Eris, the largest known dwarf planet in the solar system, was discovered by the team of Michael E. Brown, Chad Trujillo, and David L. Rabinowitz using images originally taken on October 21, 2003, at the Palomar Observatory. 2014 – A launch of the communication satellite GSAT-14 aboard the GSLV MK.II D5 marksed the first successful flight of an Indian cryogenic engine. 1834 William John Wills, English explorer of Australia, member of the Burke and Wills expedition, was born (d. 1861).